In U.S. 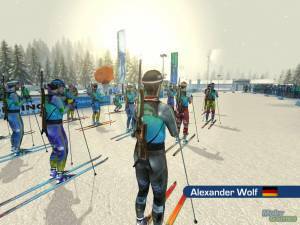 Ski Team Skiing, players race down the hill, avoiding trees and jumping moguls in their path. 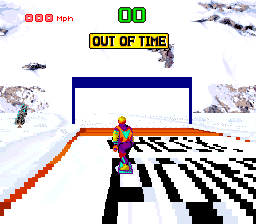 The game features both slalom and downhill courses. 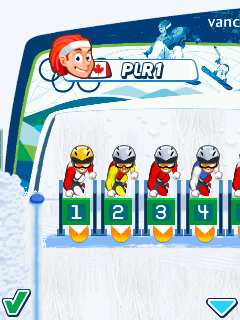 1 player may race against the clock, or 2 to 6 players can alternate turns and race to see who gets the fastest time, and each race has 3 heats.